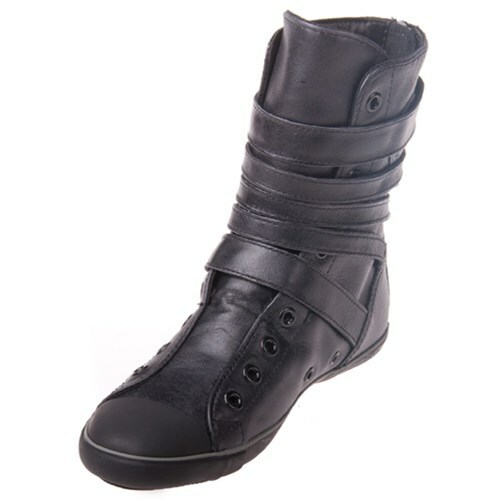 Converse AS 517623 Light Leather Multi Strap Black XHI. Buckles galore! These kicks are sick! All black leather with straps going up! I don't know what else you could possibly ask for in a boot! These Converse XHI are beyond durable and will keep your feet happy! With them being leather, your feet will always be able to breathe properly! With the straps, you'll be able to adjust the shoe to your comfort level!